What is the Kansai Area Pass? The Kansai Area Pass is one of the most low-cost rail passes in Japan and is a very cost-efficient option to explore the Kansai Area. It is a practical fit to travel between cities like Kyoto, Osaka, Nara, Kobe, Wakayama, Himeji, Kansai Airport and basically anywhere else within the Kansa region. The Kansai Area pass is available for 1,2,3 & 4 days, the more days you use it, the lower the price per day. What is the cost of the Kansai Area Pass? The average per days is lower the more days you travel, for as low as ¥ 1,575yen for a whole day of travel using the 4-day Kansai Area pass. How can I get the best use out of the Kansai Area Pass? A single trip within the Kansai Area does not cost a lot but making a return between cities or visiting multiple stops in a day is where costs add up quickly. Here’s where a Kansai Area Pass covers in handy and where the best savings are to be had. The Kansai Area Pass is also valid on the Haruka Express train. A one way Kansai Airport – Kyoto is around ¥ 3,200 and that’s just one trip. Another very cost-efficient option is to make a visit to Himeji, a return Kyoto – Himeji is ¥ 4,540. The Kansai Area Pass is also valid for local JR lines in cities like Kyoto, Osaka, and Kobe. 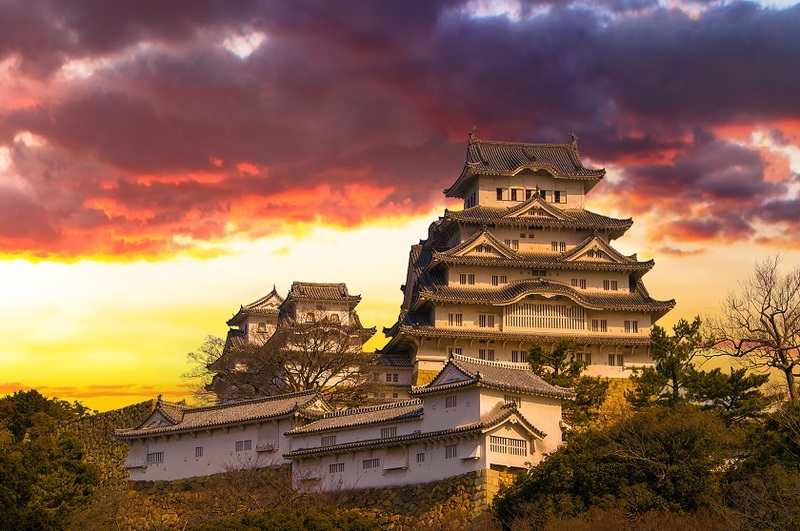 Himeji Castle is a picture right out of a fairy tail. Where do I buy the Kansai Area Pass? You can place on order online here or if you are looking for more regional options, check out our regional JR Passes page.